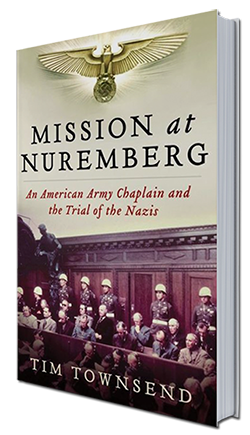 Detailed, harrowing, and emotionally charged, MISSION AT NUREMBERG is the story of Lutheran minister Henry Gerecke, a farm kid from Missouri who at age 50 volunteered to be a World War II chaplain. His most challenging assignment came after the war ended. Sent to Nuremberg, Gerecke was asked to minister to the twenty-one imprisoned Nazi leaders awaiting trial for crimes against humanity. 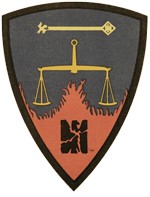 MISSION AT NUREMBERG is an incisive new history of the Nuremberg trials as well as a nuanced reflection on the nature of morality and sin, the price of empathy, and the limits of forgiveness. Tim Townsend, formerly the religion reporter at the St. Louis Post-Dispatch, holds master’s degrees from the Columbia University Graduate School of Journalism and Yale Divinity School. He has written for the Wall Street Journal, the New York Times and Rolling Stone, among other publications. In 2005, 2011 and 2013, he was named Religion Reporter of the Year by the Religion Newswriters Association, the highest honor on the “God beat” at American newspapers.